If you need a shiny black satin dress shirt and you're an entertainer, you need not look any further. 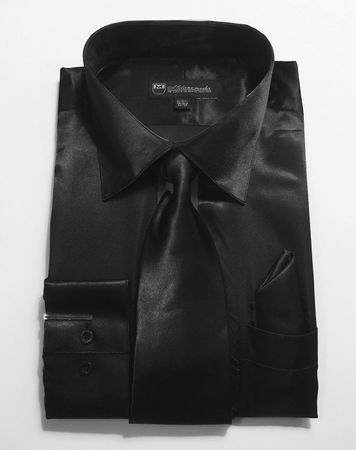 These black satin dress shirts by Milano have everything that you need for shining in the spotlight. Features like a regular fit with long sleeves and standard button cuffs with the matching tie set for a perfect look. These black satin dress shirts are perfect for dancing as well as wearing to parties.